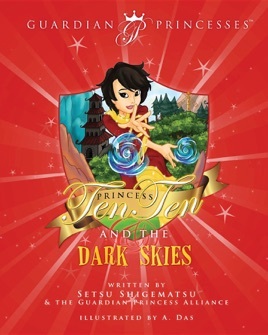 Princess Ten Ten is the Guardian of the Skies. She helps fight the terrible air pollution that has darkened the once beautiful skies of her city. As a child she is bullied because she is different. But she perseveres. This story teaches readers about East Asian cultures, how to overcome bullying and take better care of our planet.